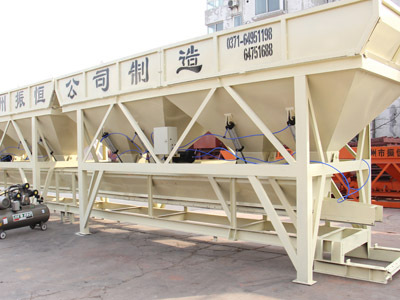 Concrete mixer as the necessary accessories for the mixing station / mixer, the effective working hours of the batching machine is particularly important for the production. If the ingredients machine failure, we did not find the cause of the failure, can not be the first time to exclude. That is a huge economic loss to the production. Zhen Heng today to explain to you, the ingredients of several common types of failure, when the failure, how can we solve the problem more quickly, try not to delay the production time. 1. Cause: interference caused by power supply or surrounding electrical equipment. Solution: turn off the control of the dosing device and restart, so that welding equipment and other easy to interfere with the electrical equipment placed in the distance from the ingredients as far as possible. 2. Cause: The power supply voltage is too high or too low. Solution: Add a regulator to the batch controller. 3. Cause: The batch controller is overheated. Solution: Install sun protection measures. 2. Weighing is not allowed. 1. Reason: Do not remove the fixing bolts between the weighing system and the pricing. 2 Cause: Sensor drift error. Solution: Re-calibrate the weighing system. 3 Cause: The sensor is damaged. 3. A material is not compounded. 1. Cause: motor wiring loose, strong control part of the exchange is damaged. Solution: Check the electrical wiring, replace the electrical components, troubleshooting. 1. Cause: The main and passive roller axes are not parallel. Solution: Adjust the tensioner to tighten the screws.